Ups and downs are inevitable in life. Some days, you may feel on top of the world… while others, TBH, the only thing you’re on top of is your sofa and a Stranger Things marathon. Being down isn’t necessarily a bad thing — after all, it’s called “down time” for a reason. And if you feel regenerated and refreshed on the reg, your self-care calibration is probably on point. But when you feel constantly exhausted – like, waking up literally ready to go back to bed – it may be time to hit the reset button on your self-care techniques. The first step is surrounding yourself with people who love and support you. Plot twist: This starts with you. You spend all day with your inner voice. If that voice isn’t being supportive, it’s often way harder to find the energy to fight off depression and lack of motivation. Our challenge for you? Find a time to say positive affirmations to yourself every day. As you practice affirmations, over time you’ll notice a difference in your thinking patterns. This is because you’re rewiring your neural pathways, which – just like exercise – raise your levels of “feel-good” hormones. As you continue to practice positive self-talk you’ll find your motivation coming back faster than ever. All thanks to the cheers from your number one fan: You. As you work on becoming your own best friend, draw positivity from others who inspire you to be the best version of yourself, too. Take a walk or do some chores while listening to an inspiring podcast, audiobook, or video. Go to a gym class so you can get your body moving, while being inspired by the teacher, the other students, not to mention all the awesome things your body can do. Surrounding yourself with people that inspire you, learning what they do to help them achieve success, and challenging yourself will provide you an excellent basis to help you grow to become your best self. Who doesn’t instantly feel relaxed after watching a Bob Ross video? Turns out there’s some science to all those “happy trees”: Studies have revealed that the simple act of sitting in either a park or forest – for just 15 minutes! – is psychologically restorative. A short walk elevates those good vibes even further: A 90-min walk yields changes to the brain in a way that can prevent against depression. Try including an outside stroll during your 9-5, or when you get home from work. Queue up some instrumental tunes, or simply enjoy the sounds of the great outdoors. Craving more green? Invite a friend on a hike, or another outdoor activity this weekend. Look for a delicious place to have lunch and a drink after your trek, or pack a lunch to enjoy at the peak of the mountain. Do you typically feel a bit sluggish in the a.m.? Start with bite-sized encouragement for yourself, advises Dr. Lauren Appio, a psychologist in Midtown Manhattan. For example, if you want to make going to the gym part of your pre-work schedule, focus on completing each action in your behavior chain – one at a time. I’m going to kick these covers off! I’m going to walk to the bathroom! I’m going to brush my teeth! When you lack the motivation to accomplish your goals – or are having a particularly tough time getting started – give the five-minute rule a try. The genius of this rule is how easy it is: Commit to doing the activity in question for just five minutes. If your goal is to get in a 15-minute walk every day, but you lack the motivation to accomplish that, tell yourself you’ll do a five-minute walk – and if you feel good, you’ll keep going. After five minutes, you can choose to stop, or you can choose to continue. If you do decide to stop, you can pat yourself on the back for hitting your goal. You might be surprised at how often you’re motivated to continue. It feels counterintuitive, but by simply doing even a few minutes of exercise, you’ll likely instantly experience a positive shift in your mood and energy levels. If you’re committed to working out, but aren’t able to make it to the gym, try an at-home workout. Barre3, for example, has a collection in their streaming library specifically for energizing workouts. Ready to invest in your indoor workout? The Peloton bike feels like a private indoor cycling studio for your home, and users have access to thousands of classes ranging by instructor and class type. Between work, chores, bills, school, relationships, and commuting, who has time for passion projects? Turns out, we all should. “Making time for old passions can reconnect you to your sense of mastery, and taking up new passions allows you to be playful and curious – all good antidotes to low mood and low motivation!” says Dr. Appio. 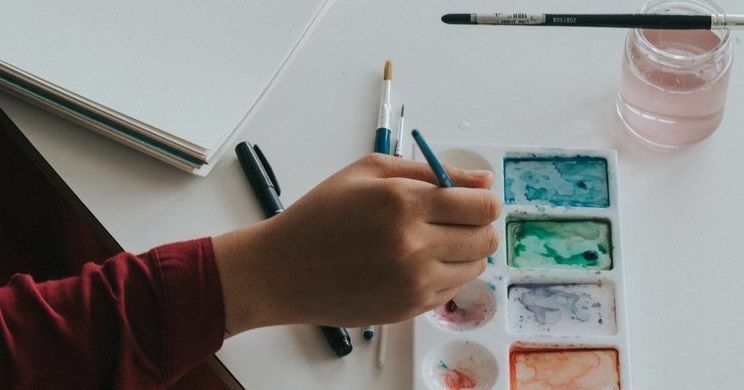 Whether it’s breaking out the easel, learning Italian, or practicing the piano, harness motivation by tapping into a passion project that you love. In our fast-paced world, getting recharged is crucial for maintaining mental wellness – whether it’s spending a weekend relaxing in nature, or devoting 10 minutes to mirror pep talks every morning. But if you’re concerned that those low-energy feelings may be indicative of something more significant, or you want a supportive guide along the way, try giving your heart and mind a break with therapy. 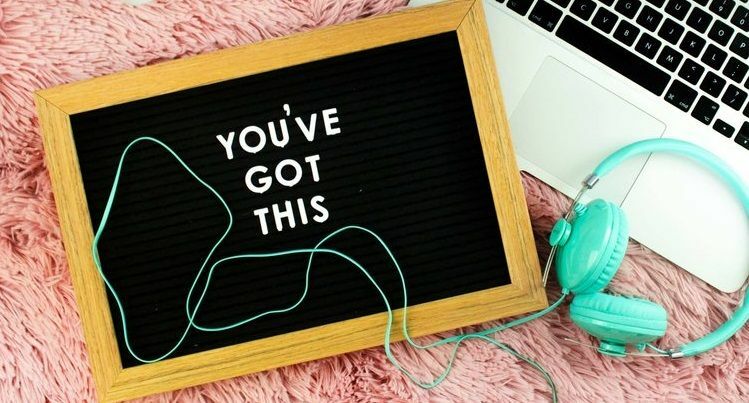 Certain types of therapy, such as Cognitive Behavioral Therapy, can help you identify goals to overcome a lack of motivation, as well as equip you with tools you might need to get, and stay, on track. Ready to start therapy? Check out Zencare.co to find a therapist who can assist you in identifying any underlying causes of fatigue, and implementing the right tools to overcome them.